Any organisation, whether new or long established, can be relegated to the background regardless of previous success stories. Realities of 2018 have shown a paradigm shift from what company wants to what the consumer wants. Sales have become so dynamic that being a Product Manager, CEO or Business stakeholder without updated knowledge of marketing trends might spell doom. For online marketing, consumers have shown a preference for videos as what they want to see from their brands, according to Hubspot research. This presents a need for some kind of realignment of organisational strategies. Have you once utilised flyers, brochures, powerpoint sales presentation, magazines, complimentary cards or even jotters for your business? With video marketing as the in-thing, see these must-have 4 print materials to embed a video for increased sales. Join the moving train- achieve your 2019 marketing goals with these 4 print materials that you can embed video to increase sales. 1. Business Cards: This has been widely used as the first business impression to persons external to organisations. We see a lot of print business cards exchanged at meetings, conferences, seminars or even at informal gatherings. Unfortunately, some of these business cards exchanged are lost, tucked into a pile of others, dropped or simply discarded without a second look. Your business card or VIP invite card can stand out with an embedded video. This way, your irresistible card is viewed and viewed and viewed again. Can you beat the power of a video business card? What’s more? Turn your old-fashioned business card into one that is visibly displayed for others to see by adding a short, 10- 30 seconds video clip about you, your organisation, what you offer and your competitive advantage. Our video business card has a small screen, interactive buttons to click through and to adjust volume, and USB port to charge and change video. Did I mention they are sleek and stylish and can be customised to suit preferences? 2. Books: If you have seen the read-aloud nursery rhymes books, then you have caught a glimpse of video books. Books are usually written to tell your business story, narrate customer experience of past events, as training manuals, corporate gift, or to describe the mind-blowing wonders of series of products and services. With a video book, you can be sure not to bore your audience with long unappealing texts. This means that you can condense your multi-page book to a few pages with embedded video. As with video business cards, there are buttons and other features to give your book an impactful user experience. Books with audio-visual components appeal to a wider range of people or what do you think? 3. Brochures: B2B or B2C discussions have been reduced to few words with corporate brochures. Awareness of products and services offered by an organisation is created with the aim of improving sales. 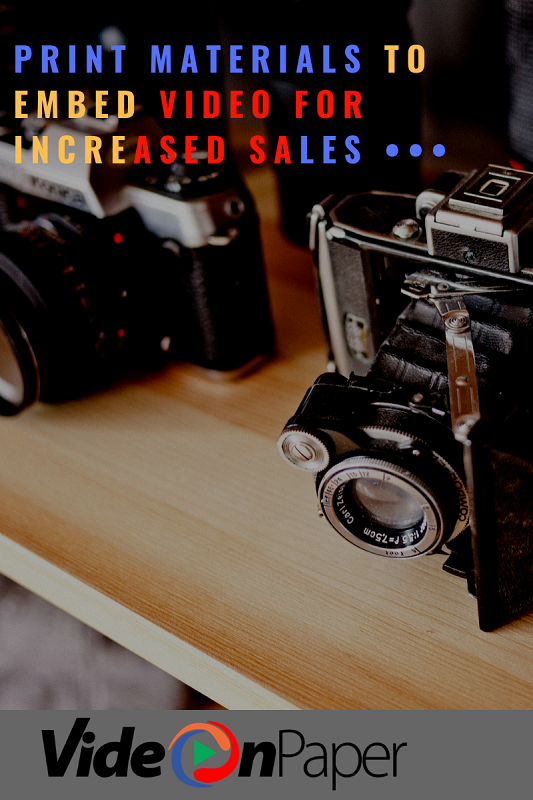 Video brochures have been deployed across E-Commerce, retail stores and some corporates which have helped to improve look and feel of a product in stock or on sales. 4. Catalogues: While brochures describe few products, catalogues describe all products available in an organisation and in a chronological order too. This can be turned to a nice video with appealing designs and images. For a long list of your array of products, offers and services, then a video catalogue is the best for you. Imagine your target audience flipping through your print materials with press buttons, vibrations and lights, voice and some special effects of an embedded video summarised in a beamed up smile. Now, imagine these clients walking right back to get what they have experienced. That’s exactly what these video prints are out to ensure.